Stars & Stripes was looking for a unique prize for their big golf tournament in Cabo. They wanted a high quality product that would display their full-color logo. We came up with the Beverage Caddy Cooler, which fits perfectly in the back of a golf cart, and has a large imprint space for their full-color logo. 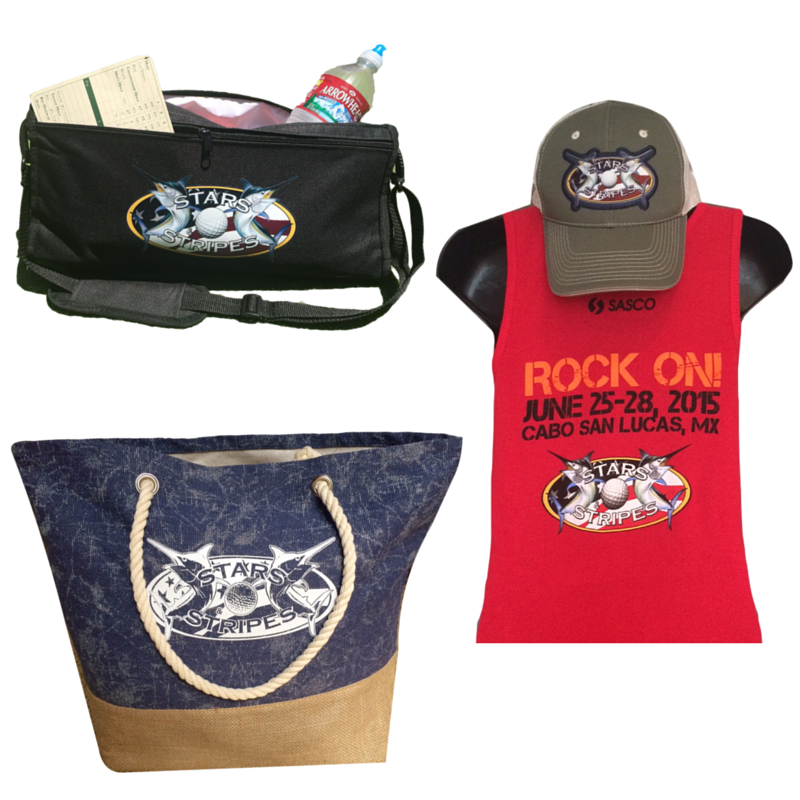 We also created branded tank tops, jute bags and hats for Stars & Stripes to give out during the event. Stars & Stripes was very happy with all of the products we did for them and we are so honored to have them as our client! "10 stars for Wearable Imaging and all the wonderful products they supplied for our 19th Annual Stars & Stripes Children's Foundation Tournament! From tee-shirts to tank tops to backpacks to phone bacnk charges and golf GPS units, our guests could not have been more thrilled with the goodies! Wearable Imaging is by far the most professional, cost effective, creative and personable team I have ever worked with when it comes to promotional products! I can't wait to work with them again in the near future!"